Maximize the new tax law benefits while MINIMIZING any negative tax Consequences. Congress passed the Tax Cuts and Jobs Act (TCJA), the biggest tax reform law in over 30 years, that will impact businesses and individuals for 2018 and beyond. This guide will give you an overview of the most significant changes under the TCJA and other key provisions you need to know in order to understand the consequential changes and impact on your business and livelihood. 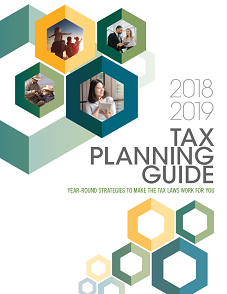 We hope you find this guide helpful in understanding recent tax-related legislation and determining which tax strategies will make the most sense for you and your business this year.